One of the great anniversary roses is 'Golden Celebration'. A David Austin rose with wonderful double flowers and fragrant as well. 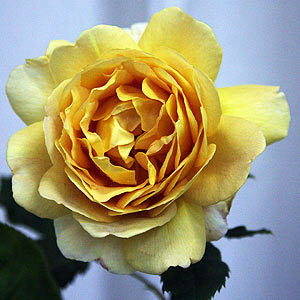 Golden Celebration is usually available as a standard, shrub rose or as a climbing rose. This is a hardy, disease resistant rose that has been popular with gardeners since it was introduced in 1992. Large golden cupped flowers, good glossy mid green foliage and also a repeat bloomer. The fragrance was recognized in 2000 by the National Rose Society. Flowering from spring through summer to autumn, deadhead and fertilize for excellent repeat flowering. Care is as for most other roses, prune Golden Celebration each year, deadhead and fertilize during the growing season. Moist but well drained soil in a sunny position.